2001 was the European Year of Languages. The European Commission and the Council of Europe scheduled activities to promote linguistic diversity, a fundamental value of European cultural heritage, and a lifelong learning of languages. The Cervantes Institute contributed to this celebration with the launch of an information space, thanks to the collaboration with the Department for European Programmes and other European institutions that coordinated this events. Beatriz was commissioned to write a play to celebrate the diversity of languages. 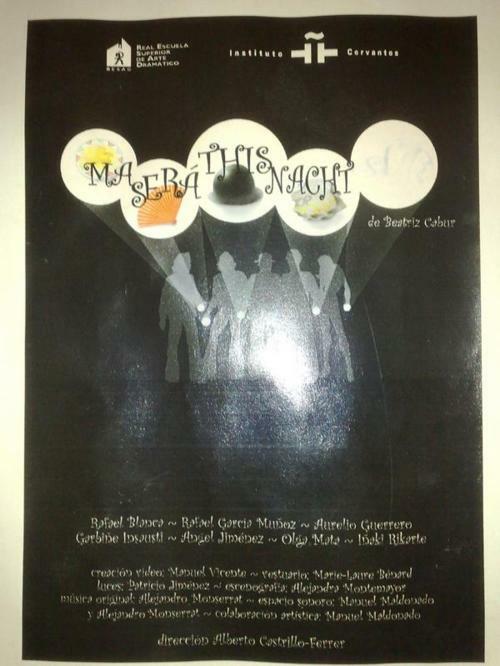 “Ma Será This Nacht Sûre (Top Secret)” premiered at the Royal School of Dramatic Arts, RESAD in Madrid and later toured regionally in Spain.